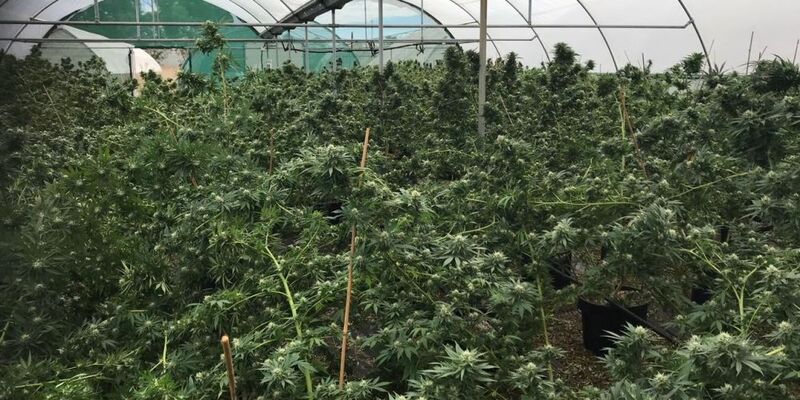 ORGANISED crime squad detectives have charged a man after allegedly finding more than a thousand cannabis plants and more than $10,000 worth of cash on a property in Oldbury. Police executed a search warrant at a house on Boomerang Road on Tuesday March 13 and discovered a greenhouse crop totally 1217 cannabis plants, 198kgs of Cannabis head material that had been harvested and $10,650 in cash. A 26-year-old man from NSW has been charged with cultivating a prohibited plant with intent to sell/suppy and possession of a prohibited drug with intent to sell/suppy. He will appear in Armadale Magistrates Court on April 10. Police are investigating whether there were other people involved in the crop.